The soccer player, in the company of other young people, gave a beating and threw the Gobela river to an out-of-service ertzaina. The Office of the Prosecutor requested 4 years of prison. The former Athletic Club player, Ager Aketxe, has eluded the prison sentence of 4 years that the Prosecutor's Office was asking for, although has been sentenced to two months' fine for assault, in the company of other youth, a an ertzaina. A sentence of the Criminal Court 1 of Bilbao, published by 'El Correo', has imposed on the young soccer player a multiple of about 720 euros as it is proven that he took part in a beating of a Basque police officer who was out of service of August 9, 2015, during the festivities of the neighborhood of Romo, in the municipality of Getxo (Bizkaia), and to whom, the defendants threw 11,111,111 Gobela. In addition to imposing the fine on Aketxe, the judge acquitted another of defendants and has mainly held a third party responsible for the aggression, for which reason he has been obliged to pay a three-month fine and pay compensation to the victim with 4,680 euros. The resolution considers proven that the agent identified himself as tal before the defendants before the events began, although the youth beat him, and that one of them gave him a kick that made him fall to the river from two meters high. However, la judge has resolved to acquit the three defendants of a crime of attack against the authority, considering that in the "confusion" of the brawl, young people might not understand that they were before a agent, as the defense claimed. La Attorney had requested four years in prison for Aketxe and another de defendants, as perpetrators of a crime of assault against the authority and a crime of minor injuries. The court of Getxo that instructed the case resolved that Aketxe and another of the accused were addressed "aggressively" and threatened the ertzaina with the "purpose of erasing the recordings" of a fight that was taking place in the neighborhood at parties at 08:00 hours of the day. At that time, the victim "identified" as a police officer vasca and showed his professional accreditation, so the former Athletic player and his friend "were fully aware" that they were ante an "official of the Ertzaintza" when they began to beat him "kicks and punches", concluded the instructor. When the agent tried to flee, "they chased, hit and hit", y fell to the river, then resolved the judge. 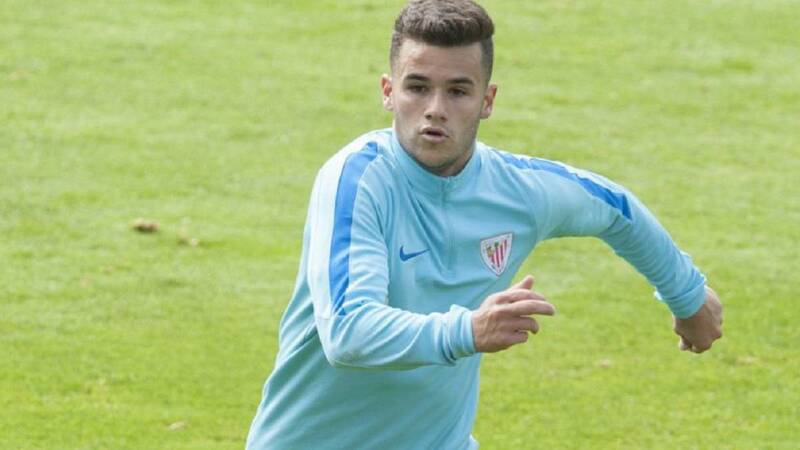 The player Ager Aketxe, of 25 years, left the quarry of Athletic and climbed to the first team in 2014 to play eleven matches in two seasons, before being ceded to Cádiz in 2017. Then it was transferred to 1 111111Toronto and in July of last year he returned to Cádiz.